Six films, including three shorts, by one of contemporary cinema's true poets. Considered by many to be Britain's most gifted and remarkable filmmaker, Terence Davies' visually stunning, intensely personal films have impressed audiences the world over and seen him proclaimed by critics as one of contemporary cinema's true poets. Audio Commentaries for each film. 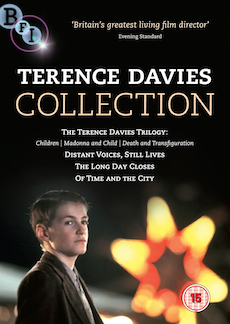 Exclusive interviews with Terence Davies.